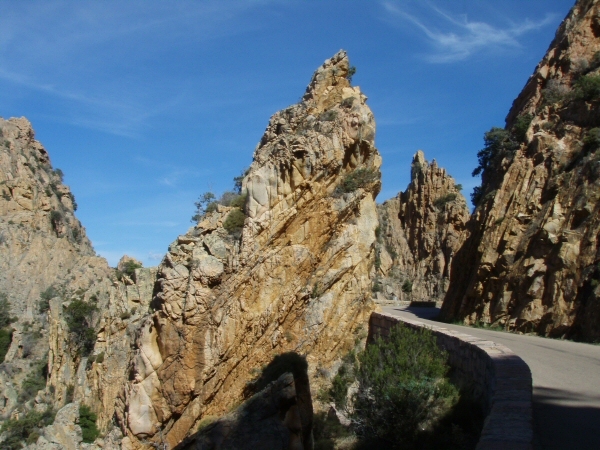 The island of Corsica has much to offer the discerning visitor: stunning scenery, Mediterranean weather, French cuisine and, for the driving enthusiast, some challenging mountain drives. Thus it is a perfect destination for a Porsche Club tour. So in September 2007 our party of twenty four cars embarked for France and a leisurely drive south via Marseille and a ferry to Corsica, to sample first hand the island's delights. We gathered at Moulins from our diverse Channel crossings to enjoy dinner and a comfortable overnight stay before heading south. Our tour agent, Travel Destinations, suggested a route avoiding motorways, which offered us a wide choice of charming rural towns to explore and enjoy lunch. Our group stopped in Vichy, known to me only for its famous water and as the seat of government during WW II. I am repeatedly fascinated by the French practice of taking a long lunch, and Vichy did not disappoint: deserted at one, save for the bars and restaurants, and reborn at three. After a helpful gendarme had shown us where to park, we too enjoyed a lazy bistro lunch and a stroll around this elegant town before heading off for our next stop at Aubenas. 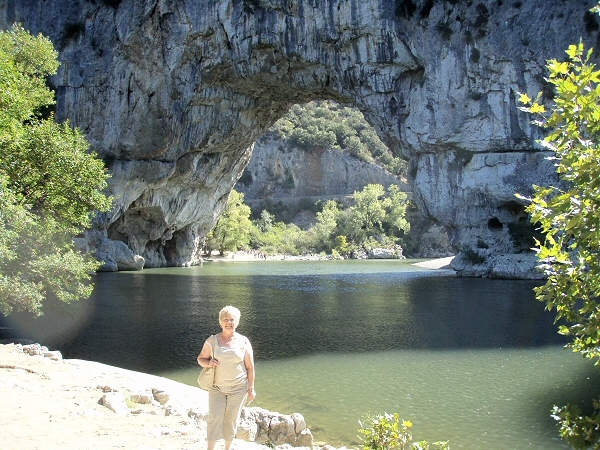 Our third day provided an unexpected bonus - a drive along the Gorges de l'Ard�che. Millions of years ago the River Ard�che cut an immense canyon through the limestone rocks, and created a magnificent natural arch over two hundred feet high as a triumphal entrance. Because the gorges have been a national reserve since 1980 the 22 mile route has many spectacular viewpoints to take photos, enjoy the fragrance of the oaks, or watch out for the beavers and Bonelli eagles. Our French hosts also clearly enjoyed the parade of sportscars, which often proved of greater interest to them than the spectacular scenery! That evening we reassembled at Marseille docks to board the overnight ferry to Ajaccio, involving a lengthy bureaucracy so beloved of the French, which eventually yielded the necessary embarkation documents and cabin allocations. However, once aboard the spacious cabins, excellent cuisine, ample bar and flat calm sea combined to give us all an enjoyable crossing. By 8 am we were ashore in Ajaccio, albeit in the height of the rush hour, and ready to explore what the island had to offer. 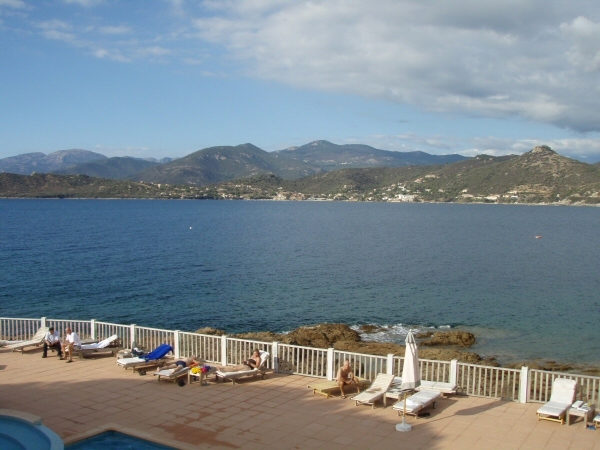 The Hotel Castel d'Orcino, on the west coast of Corsica near Calcatoggio, was our base for the next week. It is situated on a rocky shore overlooking the Golfe de Sagone, and those of us lucky enough to have a balcony facing the sea were treated to a breathtaking view across the bay. Our party had almost exclusive use of this family run hotel, and by the end of our stay we had been made to feel part of their family. Our host Fred ensured that we wanted for nothing and an elderly retainer, affectionately dubbed Quasimodo, was undoubtedly the fastest and eventually the friendliest gar�on we have ever encountered in France! The drive from Ajaccio to our hotel was an instant introduction to a less attractive aspect of Corsica - aggressive and dangerous drivers bent on risking their lives to move up any traffic queue. It seemed universal wherever we went, as likely to involve an ambulance as a hot hatch, an old lady driver as a young turk, and any dissent from the victim would evoke an unbelievable response worse than the original offence.  Defensive and submissive driving is your only option if you are to remain unscathed. The perpetual presence of a vehicle inches from my back bumper prompted me to name Corsica 'Tailgate Island'. The island is a treasure trove of scenic delights, be it rugged mountains, spectacular seascapes or charming picturesque villages, and much larger than I had expected. Over 150 miles long and 70 miles wide in the middle with a tiny population of 275,000 you might expect it to be uncrowded, but useable land is limited and visitors inflate this figure in summer leaving most towns teeming with people. Mountains dominate the landscape, the highest approaching 9,000 feet with twenty other peaks over 6,500 feet, so most journeys involve a col or a detour. 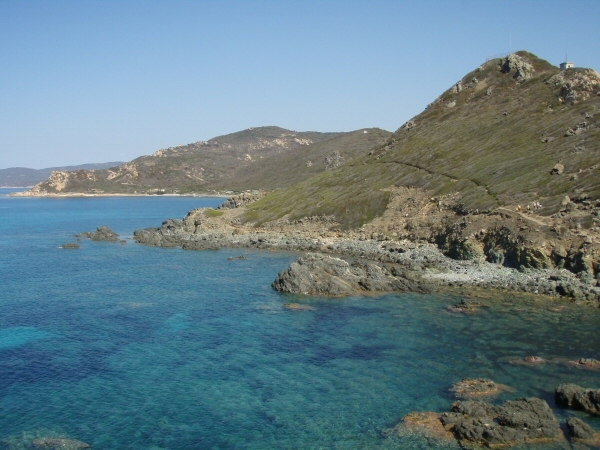 Corsica is a r�gion of France and governed as such, but the Corsicans are fiercely independent and keen to promote their own language and culture. 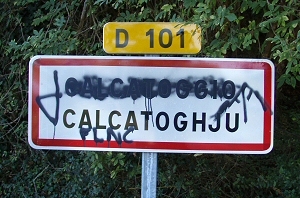 Dual language signs frequently have the French version obliterated, and graffiti symbols of the independence movement are widespread. Napoleon is the capital Ajaccio's most famous son, but the tiny museum squeezed into a grubby side street is a clear indication of the indifference of the locals. However, presumably on the basis that my enemy's enemy is my friend, they seem to like us Brits; we enjoyed a great welcome everywhere! With a whole week to explore and a host of suggested routes to try, our party set off in small groups to the four corners of the island. Our first trip was to the second largest town of Bastia in the north east via Corte, an amazing trip through the central mountains but a disappointing destination. Like most centres of population it was very crowded, strangled with traffic and impossible to park, so we saw little of the town but enjoyed a wonderful lunch at an out-of-town restaurant. Our subsequent trip south to Propriano was superb, if a little scary on some of the mountain roads, with rugged coastline and unspoilt coves round every corner and the usual gourmet lunch. It was really nice to be engaged in conversation by the locals, who were interested in our long journey from the UK, our cars, and much more tolerant of my schoolboy French than their mainland cousins. 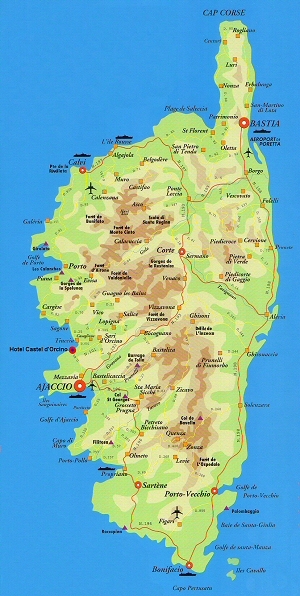 The most impressive tour we took was a circular route north along the west coast to Piana and Porto, then inland to the enchanting village of Evisa, completing the loop home via Vico and Sagone. It is exhilarating to drive along the coast road, no more than a narrow man-made shelf on the side of the mountain, stop in a one car lay-by and gaze across the rocky sculptures at the azure blue sea. In the main we were blessed with good weather, usually cloudless sunshine in the mornings with gathering clouds later in the day, and the top down all the time naturally! On Saturday we abandoned our cars and took a Promenade en Mer to Scandola, an amazing UNESCO world heritage site of rocky coastline in the north west accessible only by boat. 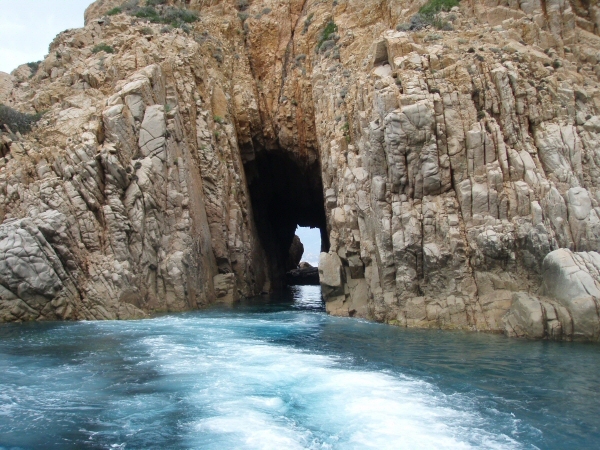 The area is a mass of offshore rocks, coves, caves and rock formations in spectacular colours, with the bonus of dolphins and seabirds in close attendance. Our skipper ventured to within a few feet of some of the arches and caves, enabling us to see inside and watch the occasional snorkeler explore below. We lunched at the remote coastal village of Girolata, inaccessible by road, and marvelled at how the locals made a living - from us, no doubt! Corsican cuisine is predominately uncomplicated French fare but with local overtones: less garlic, more cheese, especially goats' cheese, plentiful seafood and unusual meats. The terrain is full of wild pigs, goats and, incredibly, cows, even on the beaches. In one restaurant we were offered wild boar, but having seen them browsing on unspeakable things we were quick to decline; you are what you eat! Vegetables are scarce, presumably because there are few places to grow them locally and therefore they are expensive. For dinner one night in the hotel we had some delicious salmon steaks in cream sauce, accompanied by peeled baked potatoes - unusual but scrumptious. 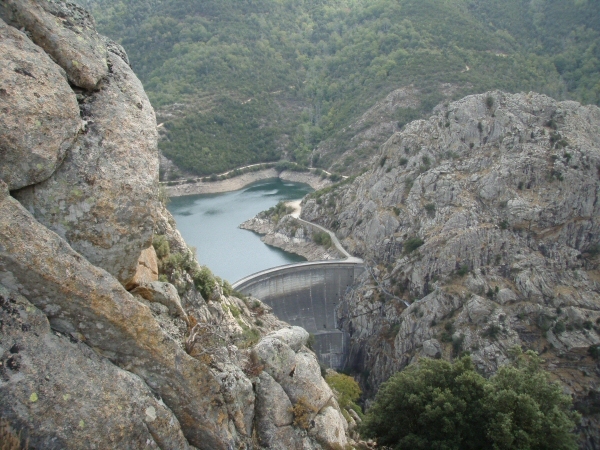 On our final day we ventured off-piste with a drive up the Gorges du Prunelli to Lake Tolla high in the mountains. It was an adrenaline run along narrow roads but rewarded us with some fantastic views, and predictably provided us with another superb lunch at a tiny bistro miles from anywhere but full, surely the best recommendation for any eatery. 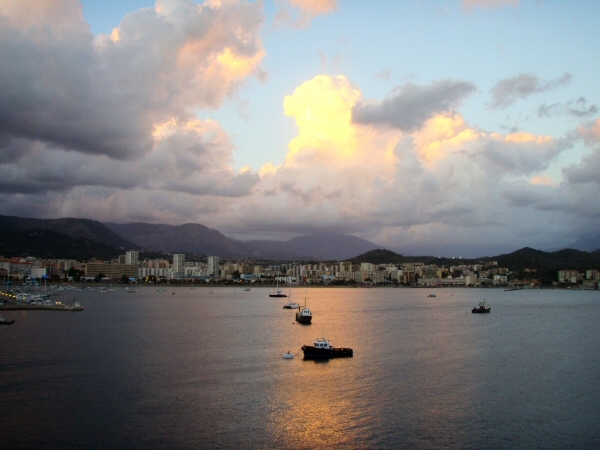 We sailed from Ajaccio that evening under a beautiful sunset with many pleasant memories of a delightful island and its hospitable people, well worth the long drive, especially in a Porsche! The return sailing to Marseille in a force eight gale was less so, but a mixture of Kwells and sleep enabled most of us to survive the crossing. A modest detour to see the amazing Millau bridge on the long haul north completed our trip on a high note.